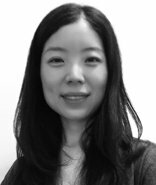 As a licensed architect in both Singapore and New York, Pauline Ang has worked on projects of varying scales and building typologies, from high-rise commercial developments in the United States, the Middle East and Asia, to a broad range of public sector projects in Singapore. Her primary interest lies in bridging the chasm between theory and practice through a combination of writing, teaching and practice. Vice-President (Architecture), CPG Consultants, Singapore. Registered Architect, New York State, USA. Leadership in Energy and Environmental Design (LEED) Accredited Professional, USA. Preservation Foundation of Palm Beach’s Elizabeth L. and John H. Schuler Award, 2013 – Ibis Isle House, Palm Beach, Florida, USA. AIA NY Chapter Design Awards, Unbuilt Work Merit Award, 2012 – Brooklyn Detention Centre, New York, USA. National Gallery Singapore: Art Spaces, Scala Art Publishers, 2016. The Making of National Gallery Singapore, National Gallery Singapore, 2015. “Condo Mania: What has design got to do with it?”, Singapore Architect, Issue 268, May 2012. Future Memory: Of Demolished Architecture & Forgotten Memories – “In Memory of Places Meant to Be Forgotten: A Case of Recurring Amnesia”, Future Memory, December 2011. “Dreaming in Green: Reimagining Abandoned Railways”, Singapore Architect, Issue 265, November 2011. “The Disappearing Void: Reflections on the Common HDB Void Deck”, Singapore Architect, Issue 265, November 2011. “The God of Small Images”, Book Review: Junya Ishigami: small images, Singapore Architect, Issue 254, December 2009. “Comparative Study of the Price-Quality Method in Singapore, Hong Kong, the United Kingdom and New Zealand”, with co-authors Professor John Barber (KCL) and Professor Low Sui Pheng (NUS), International Construction Law Review, July 2007. “The Price-Quality Method: Legal Implications of the Evaluation Process”, International Construction Law Review, April 2007.